Bermuda-based product and chemical tankers owner Ardmore Shipping Corporation announced that it has signed binding agreements for the refinancing of three vessels. The provider of seaborne transportation of petroleum products and chemicals worldwide to oil majors has signed agreements for the sale and leaseback, under a finance lease arrangement, of the Ardmore Exporter and Ardmore Seavanguard, two 2014-built 50,000 Dwt Eco-design MR tankers, with a high-quality financier in China. The lease agreements are for a period of seven years, and the Company has options to repurchase each vessel at various stages prior to maturity. 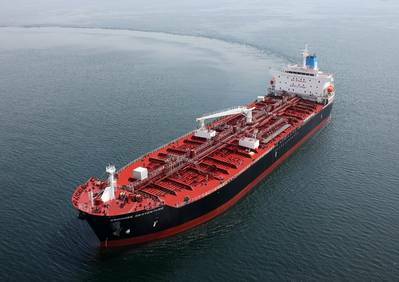 Additionally, Ardmore has signed an agreement for the sale and leaseback, under a finance lease arrangement, of the Ardmore Engineer, a 2014-built 50,000 Dwt Eco-design MR tanker, with a high-quality financier in Japan. The lease agreement is for a period of eleven years, and the Company has options to repurchase the vessel at various stages prior to maturity. Anthony Gurnee, Ardmore's Chief Executive Officer, said: "We have concluded these refinancings on very favorable terms, completing our current phase of sale - leasebacks and thus enhancing our financial flexibility. We are also encouraged by the significant improvement in MR charter rates over the past several weeks." He added: "With our conservative balance sheet, strong liquidity position and improving market conditions, we believe Ardmore is well positioned to create significant shareholder value in the anticipated cyclical recovery." Ardmore owns and operates a fleet of MR product and chemical tankers ranging from 25,000 to 50,000 deadweight tonnes.